Preclinical testing of candidate compounds for efficacy, as well as safety, is essential to the drug development process. Such in vivo studies are required by national and international regulatory agencies to provide detailed information on the compound or formulation’s dose effect relationship and its potential for toxicity. In the case of a disease model, the similarity to the human condition needs to be demonstrated. 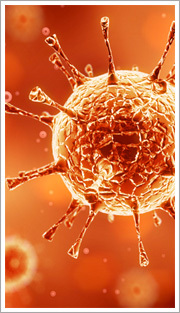 CH Technologies systems are used to create disease models as well as test treatments. Our systems offer the scalability to go from a few animals to hundreds, and from low test atmosphere concentrations up to the levels required by OECD and EPA for acute inhalation toxicity testing. CH Technologies and its affiliates provide our clients with the necessary tools and expertise to meet the stringent standards of inhalation modeling and testing. Our fully equipped lines of in vivo exposure systems, generation devices, and control and monitoring systems provide exceptional solutions to your testing needs.